Dear Customers, it has come to our attention that an unknown entity has been impersonating Harvey Norman Malaysia through phishing SMS and web pages. These phishing messages requests for users to click on a link to complete a questionnaire, in order to redeem a free gift from Harvey Norman. This promotion is not endorsed by Harvey Norman Malaysia. 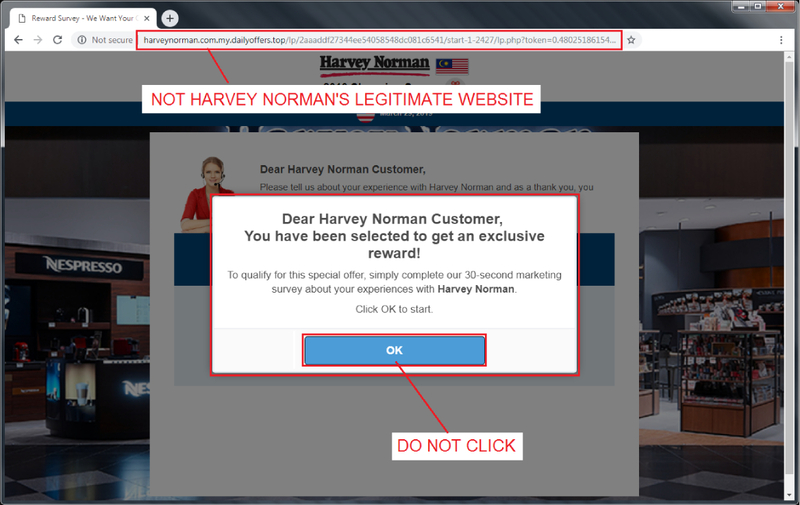 The link is not a legitimate link to Harvey Norman's website. 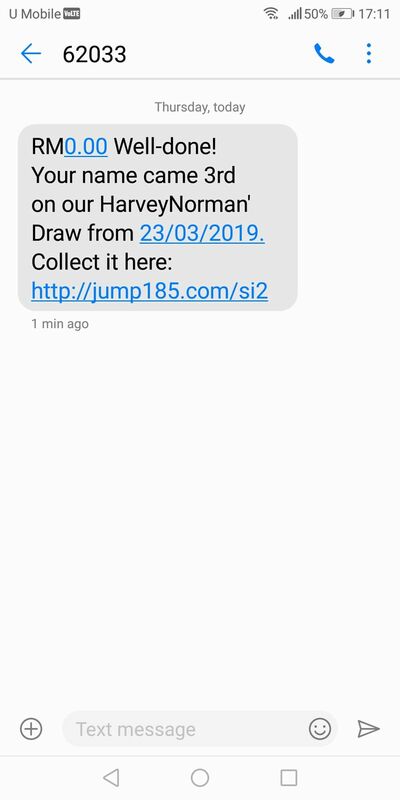 If a customer falls victim to the phishing sms and clicks on the link, they will be redirected to a page (shown below) requesting for users to complete a questionnaire to redeem an optional reward from Harvey Norman. Always check that you are on official Harvey Norman Malaysia website (https://harveynorman.com.my). We would like to advise all customers not to click on the link or open the attachment in the email. Harvey Norman will not request for your personal information or credit card details via unsolicited messages. We would also like to reassure all our customers that your personal information is stored safely with Harvey Norman.